LapinCare Repair Shield (LCRS) is a warranty extension product available to customers who have purchased out-of-warranty repair services or part replacements from an authorized Lapin Systems repair location. Purchasing LCRS at time of repair completion extends hardware and labor warranty coverage on related parts and repairs from 90 days to a full ONE YEAR from the date the repair is completed. Lapin’s standard 90-day repair warranty applies to Apple service parts and associated installation and/or replacement labor. 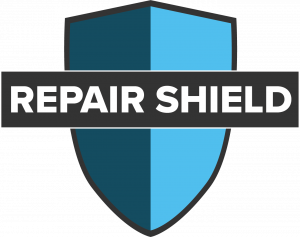 Purchasing Repair Shield provides an additional 275 days of coverage (90+275) on invoiced service parts and labor in the event of repeat failure or defects not caused by abuse, misuse, neglect, or accidental damage. Extended coverage applies to the unit checked in for service (via serial number match) and only to the specific repair and related parts invoiced by Lapin at time of services are rendered. Certain retail repair & upgrade parts (RAM, Hard Drives, Solid-State Drives) which carry additional warranty time through their respective manufacturers (up to 5 years) supersede Lapin’s standard coverage after 90 days and are not eligible for LCRS coverage. A Lapin technician or associate will notify you prior to repair completion if your repair qualifies for extended parts and/or labor coverage under the Repair Shield program. LCRS repairs are addressed in the same way as all other Lapin warranty and non-warranty repairs – with the fastest possible turnaround time and the objective of complete customer satisfaction. LapinCare Repair Shield (LCRS) must be purchased and applied to associated repairs at the time the repair is invoiced. LCRS product must appear on same invoice (with relevant machine serial number noted) to be valid. Coverage cannot be purchased at a later date, after the expiration of the standard 90-day warranty, or in the case of additional, unrelated problems with the unit in question. LCRS extends repair warranty coverage from 90 to 365 days at the part level. Coverage applies to repaired/replaced parts and associated labor only. Coverage does not apply to defective or otherwise nonfunctional parts that were not repaired or replaced at time of original repair, and does not cover new instances of failure or defect for parts unrelated to original repair. LCRS coverage is identical to Lapin’s standard 90-day parts & labor warranty, covering hardware replacement and labor related to natural part defects, abnormalities, or failure (electronic or mechanical) only. Units which have sustained damage due to abuse, misuse, neglect, or accidental damage as a result of trauma, dropping, liquid contact, submersion, etc. SINCE last repair incident are not eligible for coverage under the LCRS agreement. LCRS does not cover loss or theft of repaired unit. LCRS does not offer additional coverage types beyond the standard Lapin warranty, only an extension of the original warranty period under the same terms. LCRS does not stack or interact with other manufacturer or service warranties offered by Apple (including AppleCare or AppleCare+) or other retail part vendors. Certain repair parts/upgrades (RAM, Hard Drives, Solid-State Drives) have manufacturer-supplied and honored warranties which may supersede Lapin’s standard or extended warranty coverage. These parts are not eligible for Repair Shield coverage, though labor items with standard 90-day coverage may still be eligible for extension. Repairs completed under Apple Limited Warranty, AppleCare Protection Plan, or AppleCare+ are not eligible for Repair Shield coverage. Your Lapin technician will inform you if your repair is eligible for LCRS benefits. When purchased with a repair, LCRS coverage is valid for a total of one year from date of repair completion. Warranty clock does not reset if/when a covered repair completed within the eligibility period. If a covered repair is completed fewer than 90-days from LCRS expiration, coverage is extended to 90-days from the date the repair is completed. 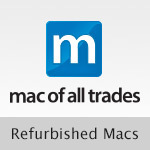 Due to widespread graphics and video failures related to defective components used in the 15″ and 17″ MacBook Pro Mid 2010, Early 2011, and Late 2011 models, LCRS is not available for logic board/motherboard (MLB) replacements on these units. LCRS coverage can still be purchased for and applied to separate/additional part repairs and associated labor on the same invoice, if applicable. Have questions about Repair Shield that haven’t been answered above? Contact us here!